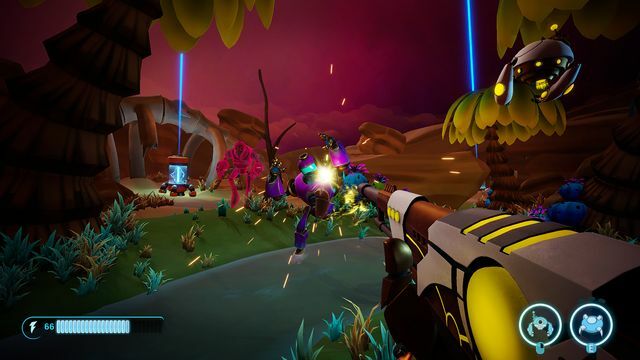 Aftercharge, by Chainsawesome Games, has just gone live on PC and Xbox One. 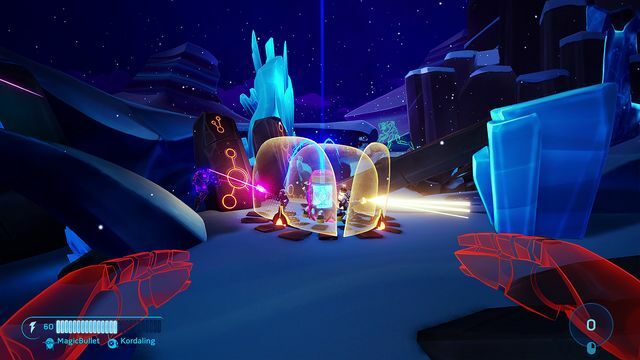 Previously the studio released Knight Squad and they were also a judges pick in the 2018 Ubisoft Indie Challenge. 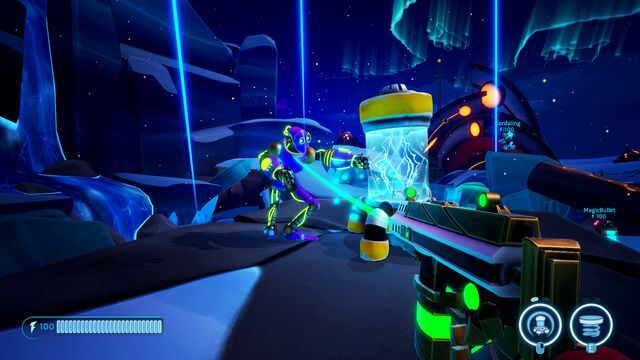 Aftercharge is a 3v3 team based shooter which pitches invisible robots against invincible soldiers! 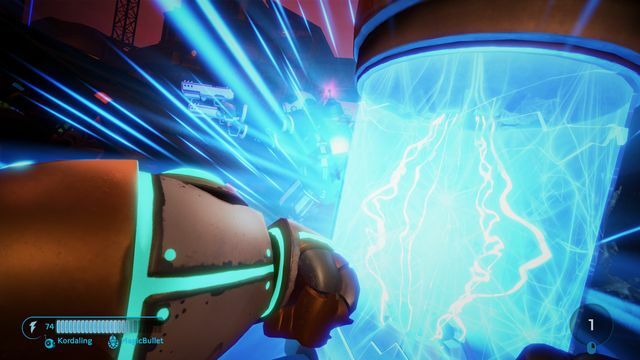 Aftercharge will support cross platform play between PC and Xbox One and will also include Nintendo Switch in the future. The story surrounds the uprising of discarded worker robots, the workonics, as they seek to exact revenge upon their suppressors, the evil Aftercharge Corporation. Harnessing their power of invisibility, they must work together to overthrow their invincible former masters. Players will be able to choose from ten different classes from either side. In game, teams will either be trying to destroy or defend the energy extractors that are scattered across the maps. Players can move invisibly, create distractions or go for broke with an all out assault. 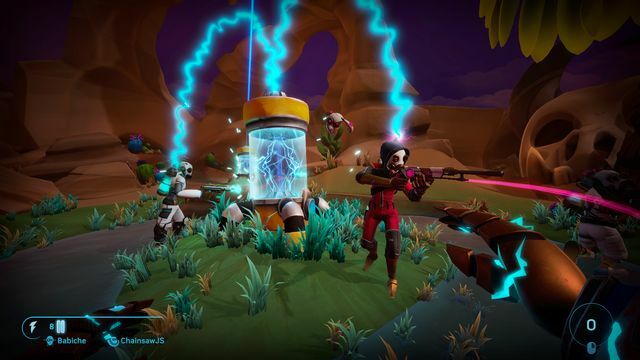 Unique Blend of Gameplay Mechanics: As the invisible robots, coordinate covert attacks, use unique abilities, and spend power charges to save fallen allies. 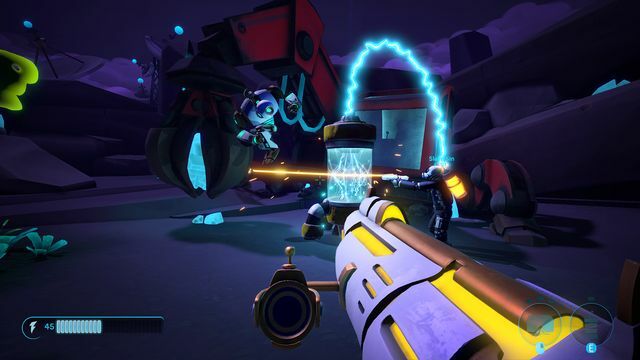 As an enforcer, utilize diverse weapons and special attacks to mount a strong defense. Bite-Size Competitive Matches: The teams are small, maps arena-sized, and the rounds short, yet the action is fast-paced and never stops. Asymmetrical Characters: Choose from a character pool of ten classes — three per match on each side — each with widely different abilities and roles to vary your tactical style of play and your team’s overarching strategy. 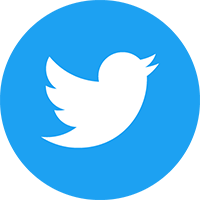 Online Multiplayer and Matchmaking: Team up with players anywhere around the world and face-off against opponents of similar skill level thanks to Windows PC, Xbox One, and — launching soon — Nintendo Switch cross-platform play.